A Philadelphia Gift Basket filled with coffee lover gifts from the Pennsylvania General Store quickly cures homesickness for a college student or a young professional relocated to a new city. 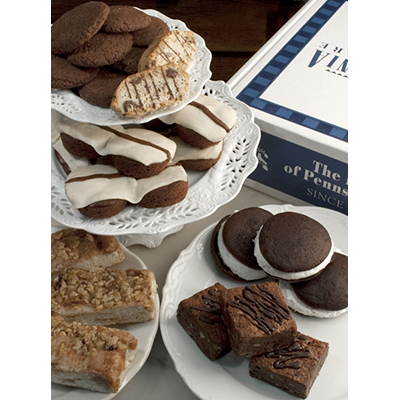 It's ideal for anyone who just can't get enough of their favorite local treats. Coffee Gift Baskets are the perfect way to share some of the best java and treats from the City of Brotherly Love. Time warp back in time to when after-school snacks were a Tastykake and Herr's chips. We make it easy to combine those childhood favorites with the best coffee brewed right here in Philadelphia. 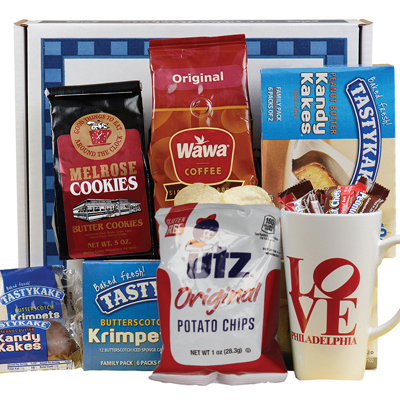 Enjoy the Philly Icon Box filled with some of the most beloved Philadelphia food items and local coffee. This unique collection includes Kandy Kakes and Krimpets, Herrs Potato Chips, and Goldenberg's Peanut Chews alongside Wawa Coffee. 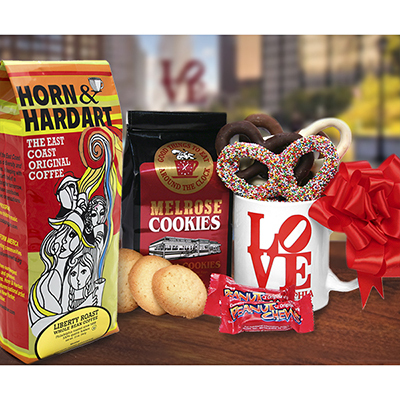 The coffee can be enjoyed in the Philadelphia Love Latte Mug while nibbling on a classic Melrose Diner Butter Cookie. Wawa Coffee Fact: While the Wawa Food Market opened in 1964 in Folsom, Pennsylvania, they didn't begin brewing and selling their fresh coffee until 1975. Wawa has now won the "Best of Philly" award for coffee multiple times. Everyone enjoys a coffee break. Perfect for a birthday or holiday gift as well as thank you to a client or co-worker, the Philadelphia Coffee House Basket with two mugs has everything needed to enjoy a leisurely coffee break. This coffee-themed gift basket comes with two mugs and Anastasio Italian Market Reserve Coffee. 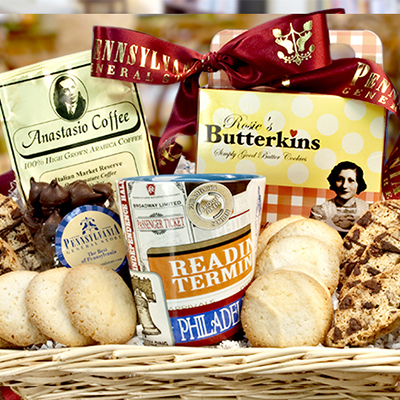 A Philadelphia Italian Market icon, Anastasio coffee pairs perfectly with the basket's Pecan Biscotti, Dark Chocolate Wilbur Buds, Chocolate Chip Toffee from My Boys Baking, and Rosie's Original Butterkins Cookies. 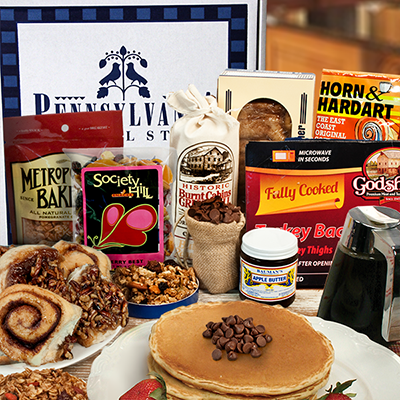 Welcome a new neighbor or send a bit of Philly love to family far away with the PA Breakfast Basket. Nothing makes morning a bit brighter than a mug of fresh brewed Anastasio coffee and the makings for homemade pancakes. This gift basket includes Burnt Cabin Buttermilk Pancake Mix, Bauman's Apple Butter, and Pennsylvania Maple Syrup. Top your pancakes with handful of the Metropolitan Bakery Granola or Semi-sweet Wilbur Chocolate Chips. 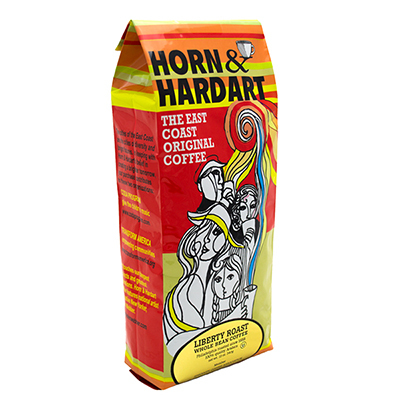 For coffee connoisseurs, a one-pound bag of the whole bean Horn & Hardart Liberty Blend is a must-have. Horn & Hardart had the distinction of being the largest restaurant chain in the United States, serving 800,000 diners daily during the heyday of Automat. The Philadelphia Horn & Hardart Automat debuted in 1902. During their golden era of the 1950's, they sold more than 90 million cups of their signature coffee every year. 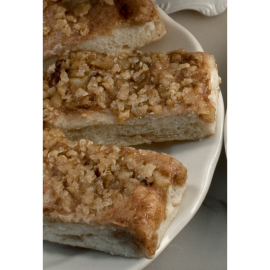 Today you can brew it at home and enjoy its well-rounded flavors with any meal. 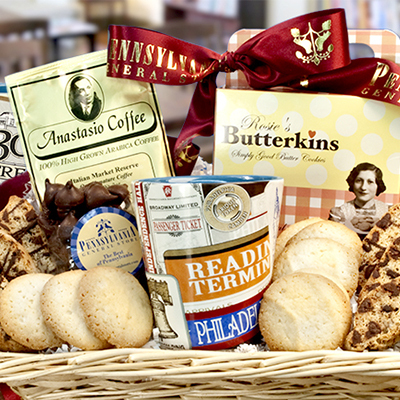 Philadelphia inspired coffee gift baskets are a great way to share a bit of one of the nation's oldest cities — a chance to enjoy a taste of diverse city that teems with history, culture, and unforgettable food and drink.